Through our OneFamily Foundation Community Awards we give back to our customers and their communities. Customers nominate a community project that’s close to their heart and award winners are determined by a public vote. Community Awards can be applied for during the nomination phase of a live round of awards. The online application form will only be available during this time. Look on the website for when the Community Awards reopen. Nomination phase – customers can nominate a project for a Community Award, by completing the online application form, or submitting a postal application (available on request). Voting phase – the general public can vote for their favourite project(s). Once the votes have been verified, the projects with the highest number of votes in each category will be informed that they are a winner. The funding can be used for a broad range of projects that benefit the community. Last year our Community Awards funded 65 projects which included music therapy for people with Alzheimer’s, therapy rooms and spaces, sports equipment and much more. 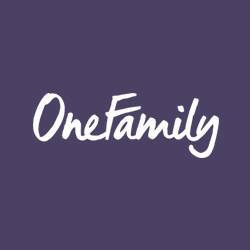 At OneFamily we’re passionate about helping our customers and their communities by supporting local groups, charities, projects and schemes. During a live round, OneFamily customers can apply for a Community Grant of up to £5,000 for a local cause. For further information please visit www.onefamily.com/your-foundation/ or email foundation@onefamily.com.